From the looks of it, Ubisoft plans to throw just as much support behind PlayStation Vita as it did with 3DS. Today, the publisher announced six games currently in development. The list includes Asphalt, Dungeon Hunter, Rayman Origins, Assassin's Creed, Michael Jackson: The Experience and the most shocking surprise of all, a new Lumines. If you recall (and even if you don't), the original Lumines was by far the best PSP launch title when the system debuted in 2005. As for the rest of the lineup, the Asphalt series has performed horribly outside of smart phones, while it appears no platform is safe from Michael Jackson. We'll post more info as it becomes available. 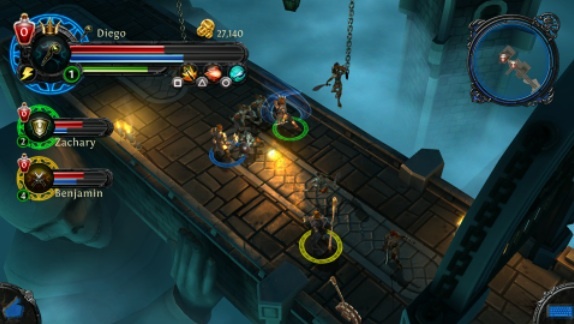 Dungeon Hunter should be a fine addition to Vita, so long as it's not the same game that debuted ages ago.